#fitchallenge. 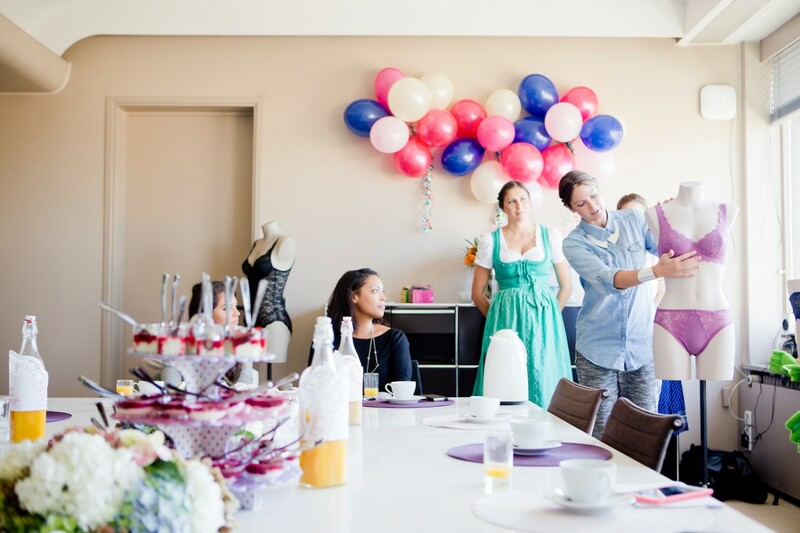 Last week Triumph invited a lovely blogger group and some winner of their giveaway to spend a day on the Oktoberfest. The day started with a good breakfast at the Triumph Office and we were introduced to their various bra-models, general Information and much more. You can’t believe how many great models they have – if it fits! 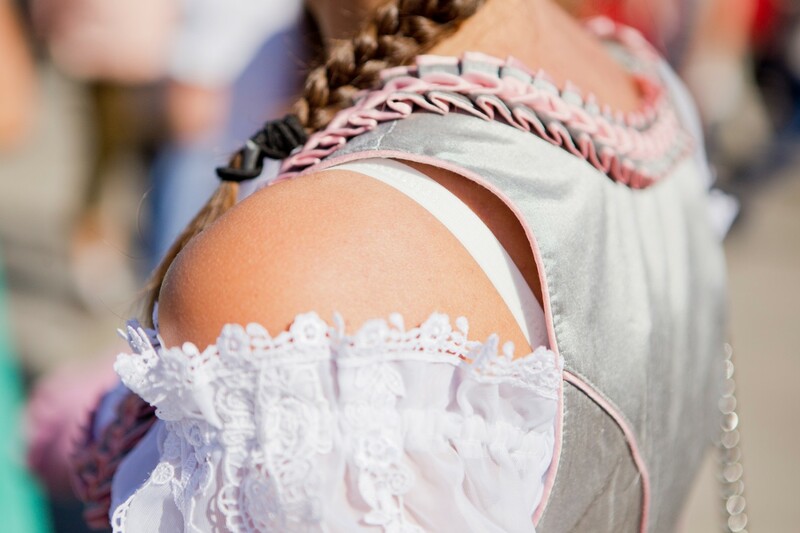 Of course, on the Oktoberfest you also need the perfect decolletée. 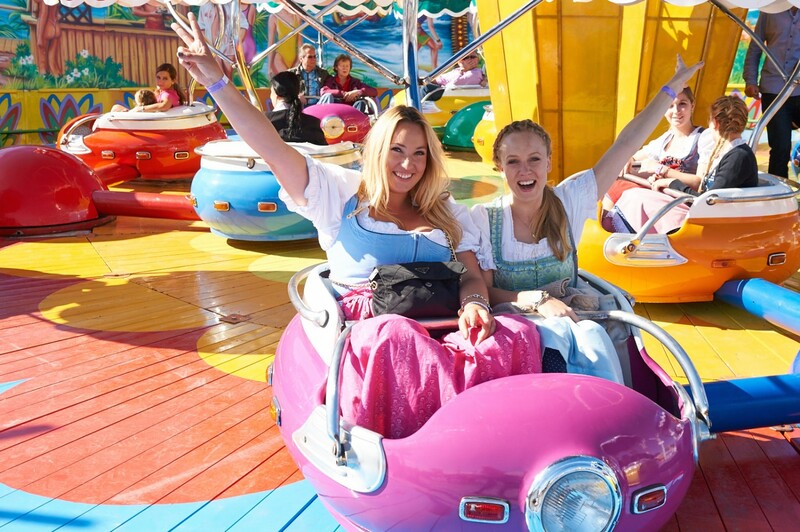 In fact, our target of the day was to find the perfect bra under your dirndl, which we’ve tested on the funfair rieds at the Oide Wiesn. I realised how hard it is to find the perfect bra when entering their shop at the Pasing Arcaden. Of course, I always like those that don’t fit. I absolutely love lace bras with a breath of nothing. A lot of models also had a lot of push-ups, which I am not a fan of but I know that many like that. But don’t worry there are enough for every one’s shape. Best is to get your size right first. Did you know that 76% of all woman wear the wrong bra size, which can cause horrible pain. Moreover, I didn’t know that socalled cross sizes would exist, i.e. when you got 75B and the bra isn’t available you can also wear a 80A or 70C. Find more about these sizes here. In the end I found the perfect bra for the Oktoberfest – the beautiful Amourette! 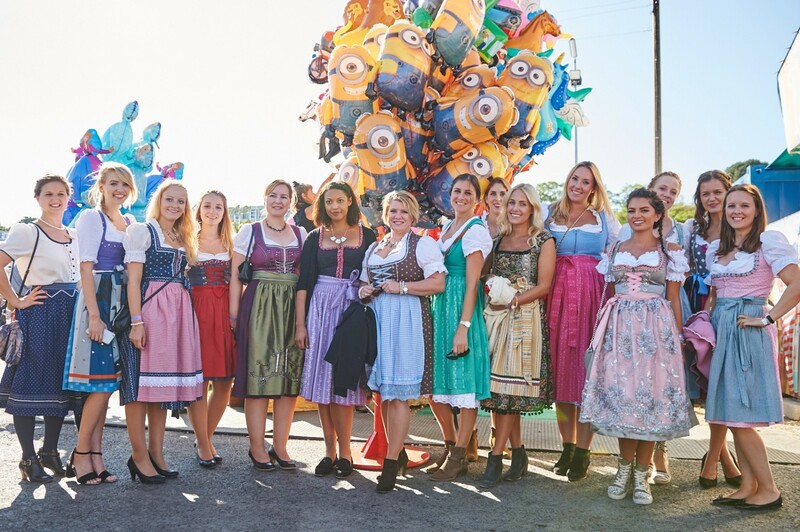 With our new bras we drove to the Wiesn to test their quality. 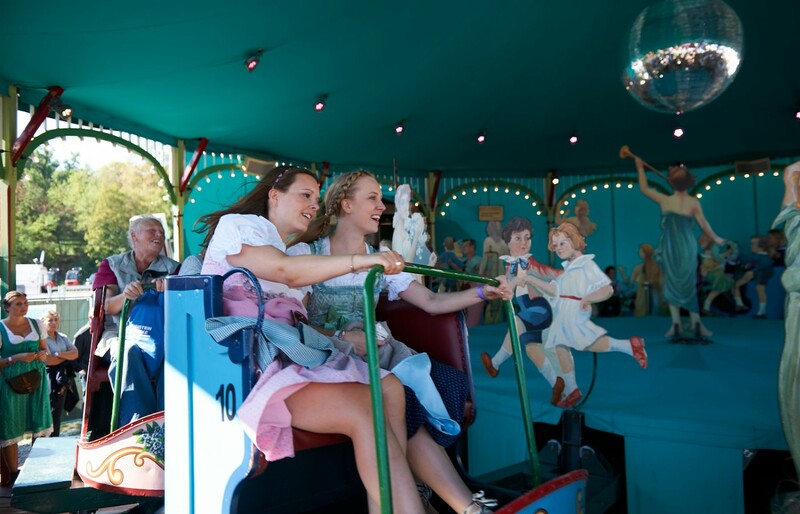 Did you know that there is an old part of the Wiesn called Oide Wiesn where they still have old funfair rides? We tried ‘Calypso’ and the ‘Fahrt ins Paradies’. For those who didn’t try either one of these had to test their bras on the ‘Dicken Berta’. Everything went well! Last but not least we ended up at the Schützenzelt. It was such a great day and thank you to the whole Triumph-Team! Sehr toller Post, das sieht ja nach einem richtig schönen Tag auf der Wiesn aus!